Take the trail: Tucked between the Mayacamas and Vaca mountains, the The Napa Valley is 2 to 5 miles wide but 35 miles long, with just two long thoroughfares, Hwy. 29 and the Silverado Trail. From the town of Napa to Yountville, 29 is a divided highway, but then it turns into a two-lane nightmare, especially on weekends and anytime during summer or harvest season. Take one of the cross roads — often conveniently including “Crossroad” in the name — to Silverado Trail for any major north-south travel (watch out for the bicyclists, though). If you’re trying to get onto Hwy. 29 during busy times, don’t even bother turning left unless there’s a traffic light; just go right and take the next left to turn around. Oil vey! 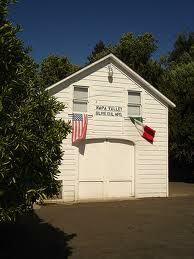 Fancy-food purveyors are easy to find, but the one not to miss is the Napa Valley Olive Oil Manufacturing Company. In a seriously rustic space, there are all manner of great condiments at reasonable prices ($1 fennel sausage links, mmmmm). Without fail, get some Sparrow Lane golden balsamic vinegar and the delicious, screamin’-bargain-priced olive oil; we usually have a couple of half-gallons of the latter shipped back to Tundraland. 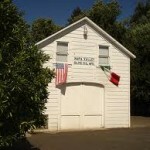 835 Charter Oak Av., St. Helena, 707-963-4173, no website. Belly up: For at least one lunch or dinner, eat at the bar. 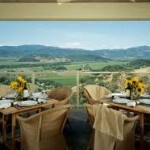 The food’s the same, but the server is more accessible for ordering or just talking about Napa. 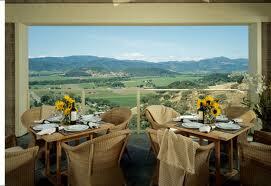 You also stand a really good chance of meeting a vintner or grower and hearing some local gossip. Some of my favorites: Mustards Grill, Press, Bistro Jeanty and Cindy’s Backstreet Kitchen. Napa friends also tout the Rutherford Grill and Bounty Hunter. Don’t belly up: If you see an oversized limo or similar vehicle parked outside a tasting room, turn around, stat! Large groups make the tasting-room workers cranky and invariably and indubitably diminish the experience (even if it’s a physically attractive bachelor or bachelorette party). Some believe that it can affect our ability to taste, and I’ve actually seen that borne out.